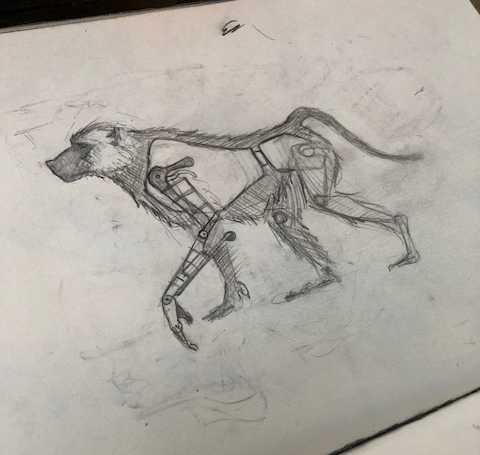 ArtHouse Jersey has commissioned Andy Brunskill and Jimmy Grimes of ‘Brunskill and Grimes’ theatre company to write a complete version of their newest play ‘Jackie the Baboon’. ‘Brunskill and Grimes’ is a collaboration between Andy and Jimmy, where they work across theatre, events, film, tv and veterinary research. Andy and Jimmy first met working as Associate Director and Puppet Director of ‘War Horse’ in the West End. Always growing in ambition, they have since created work for venues and companies including The Young Vic, the Orange Tree, Theatre Royal Bath and Longleat Safari Park. Their plays always focus on animals as the starting point, and include at least one puppet at the centre of their stories. Their work is also well known for its strong visuals and epic music, as well as being work that everyone can enjoy. Andy Brunskill said: "When we’re working together I direct and write, and Jimmy designs and directs the puppetry. We make our shows through a long, collaborative approach with designers, composers, academics, actors, puppeteers and a whole range of artists through our unique process. We also like working with new people and frequently train actors and puppeteers through our process." 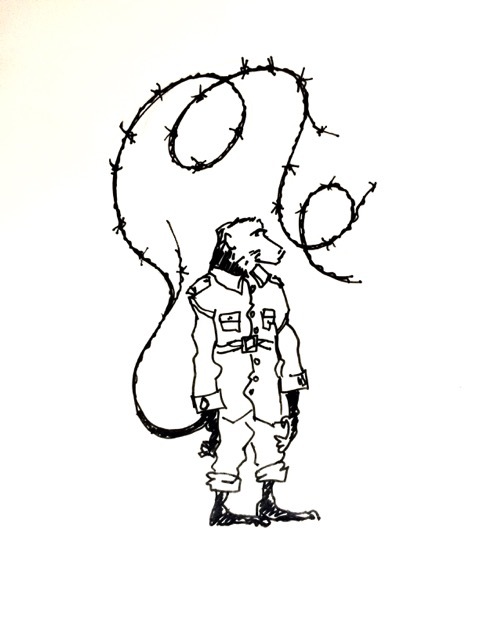 Their current work-in-progress, ‘Jackie the Baboon’, tells the true story of a baboon who is taken to war as a mascot by the 3rd South African Infantry. Jackie is given a uniform and serves in the trenches of the First World War where he encounters humanity at its best and worst. Taking a unique viewpoint on the war, the play has been commissioned by ArtHouse Jersey in association with Jersey Festival of Words as part of the Island’s commemorations of the First World War. It has been made possible through a grant from the First World War Steering Group arranged through the Bailiff’s Chambers. ArtHouse Jersey will be hosting the company for two residencies: The first in summer for the writer and puppet maker to plan and make, followed by a longer residency where the whole company including actors, the composer, stage managers and designers will come to the Island to realise a full first draft of the play. This residency will culminate in a scratch performance at the Jersey Festival of Words at 6pm on Saturday 29 September at the Jersey Arts Centre. This will allow the Jersey audience to be the first to see this unique play as it is being developed. This scratch performance features innovative puppetry, hope and heartbreak telling the life story of this incredible baboon.